Stacy Fresch is a Partner in FRA’s Washington DC office. She has over 20 years of private and public sector experience providing advice on financial accounting and reporting matters as well as related auditing issues. Stacy is an expert in managing large scale domestic and international financial and forensic accounting engagements, including assisting clients respond to SEC and DOJ inquires, investigate accounting irregularities, and complete financial restatement projects. She has significant experience analyzing complex accounting issues, summarizing extensive amounts of data related to detailed accounting records, and provided technical accounting advice on compliance with US GAAP in a variety of areas such as revenue recognition. She has prepared financial statement disclosures – including restated 10-Ks and 10-Q SEC filings – and evaluated numerous corporations’ compliance reporting under the books-and-records and internal controls provisions of the U.S. federal securities laws. 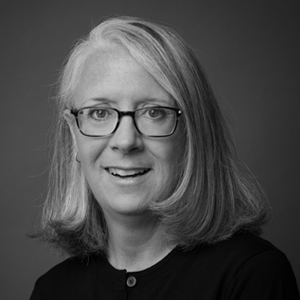 Before joining FRA in 2016, Stacy was a Managing Director for KPMG in the Forensics practice where she led complex litigation-support assignments, fraud investigations, and global compliance reviews for FCPA settlements. Prior to her time at KPMG, Stacy served as an Assistant Chief Accountant in the SEC’s Division of Enforcement where she completed a variety of financial and accounting fraud investigations, including FCPA matters, of SEC registrants, corporate officers, external auditors, and other third parties. She has managed large teams in multijurisdictional, global assignments related to whistleblower provisions under the False Claims Act. Stacy is a Certified Public Accountant (CPA) and a Certified Fraud Examiner (CFE). She received her MBA at the College of William and Mary and earned her Bachelor’s degree in Economics at Dickinson College.